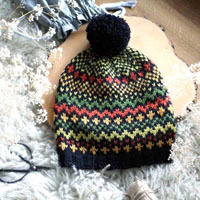 Go to original pattern for design DROPS 7-4. For finished measurement see chart, all measures in centimeters measured from side to side. 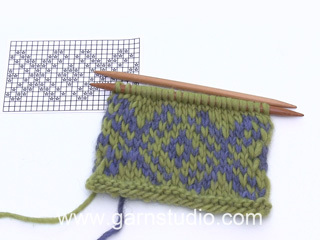 - or size needed to obtain18 sts x 20 rows in pattern on needle size 6 mm / US 10 = 4'' x 4'' (10 x 10 cm). 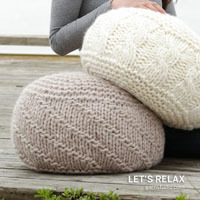 Pattern: See diagram. 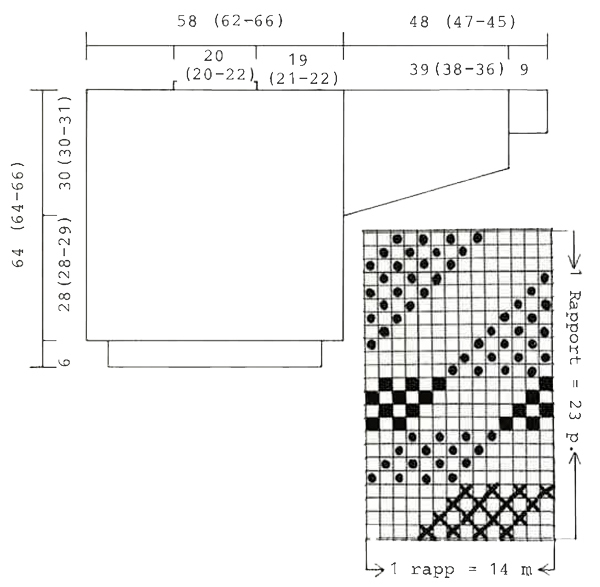 The diagram shows the pattern from the RS and the entire pattern is worked in stockinette st. NOTE: Repeat the pattern throughput, but shift the pattern 5 sts to the right for every repeat to make the pattern diagonal. 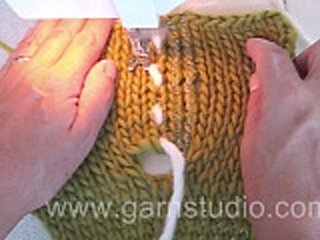 The jumper is worked in the round on circular needle and cut for armholes afterwards. Cast on 126-130-140 sts on circular needle size 3 mm / US 2.5 with black Vienna and work 6 cm / 2½'' rib. Insert a marker each side. 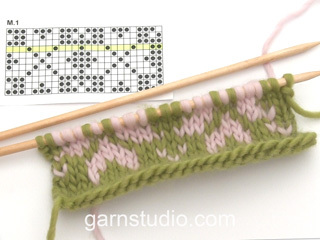 Change to circular needle size 6 mm / US 10 and continue in pattern – see diagram, at the same time inc 84-94-98 sts evenly on first round = 210-224-238 sts. When piece measures 34-34-35 cm / 13½"-13½"-13 3/4" cast on 5 sts each side (to be cut for armhole afterwards and not included in pattern). When piece measures 64-64-66 cm / 25"-25"-26" bind off in black. Worked in the round. 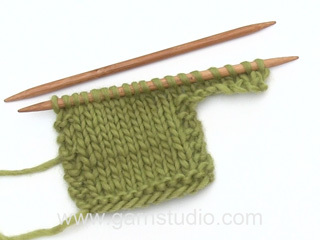 Cast on 38-38-40 sts on double pointed needles size 3 mm / US 2.5 with black Vienna and work 9 cm / 3½'' rib. Change to needle size 6 mm / US 10 and continue in pattern, at the same time inc 15-17-19 sts evenly on first round = 53-55-59 sts. Now inc 2 sts mid under arm on every other and 3rd round alternately a total of 29-28-27 times = 111-111-113 sts. When piece measures 48-47-45 cm / 19"-18½"-17 3/4" work 1 round in gray Karisma and then 6 rounds in reverse stockinette st (for sewing sleeve to body piece), bind off. Assembly: Insert a marking thread (MT) each side in the middle of inc sts for armhole. Sew 2 seams on a sewing machine around the marking thread, 1st seam = ½ st from the MT, 2nd seam = ½ st from the 1st seam. Cut for armholes. Sew the shoulder seams. 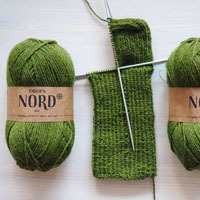 Pick up approx 72-72-76 sts round the neck on double pointed needles size 3 mm / US 2.5 with black Vienna and work 2 cm / 3/4'' rib, bind off. Set in sleeves as follows: sew the last row in stockinette st on sleeves to row after machine seam on armhole. 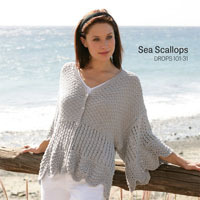 Turn jumper inside out and fasten piece in reverse stockinette st on sleeve to body piece. Cast on 116 sts on circular needle size 3 mm / US 2.5 with black Vienna and work 33 cm / 13" rib, bind off.